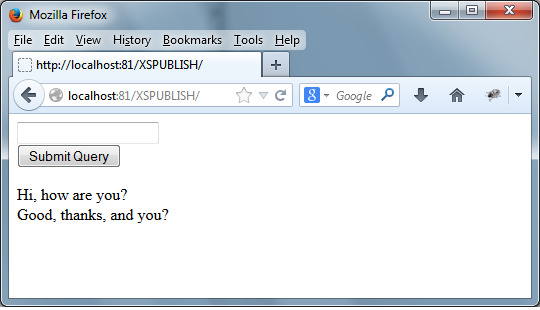 How XSS does its harm. 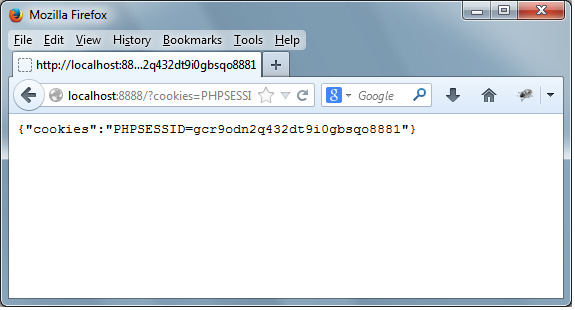 The dangers of XSS, or cross-site scripting, have been well documented. expanding upon a little bit. This is what you need to do, to test it out. Also create an empty text file 'messages.txt' in the same folder. submit new messages a couple of times. Everything should be working fine. up another web server on your localhost to play the role of the evil host. This is what I did. I launched a second server on my PC, using node. Open up a command shell and type in: "Node <path-to-my-node-server>\MyNodeServer.js"
(Don't expect to see anything other than a blinking cursor, but leave it open. malicious code, just to demonstrate that this is a real threat. observe how putting in the safeguards after the fact is insufficient. in place are not working.